Released probably 30 years too late, this is a missed opportunity. Better stick to your more complete bootleg collections, as here (on the extended 2-CD-version) you will find only half of the surviving Stones BBC-recordings, three of them incomplete (Come On, Hi-Heel Sneakers and Ain't That Loving You Baby), four of them credited to the wrong date/session and one even with a skip (The Last Time). But it's still great music though! Available here. 2 CD's by The Rolling Stones 'On Air' (Polydor 670 274-0). In Summer 2014 Keith Richards recorded a guitar track at Redlands for his friend Alan Clayton (Dirty Strangers), who was producing the debut album of his father Johnny (then 82). They track in question is a cover version of Jim Croce's Bad, Bad Leroy Brown and was just released on various download platforms. Available here. 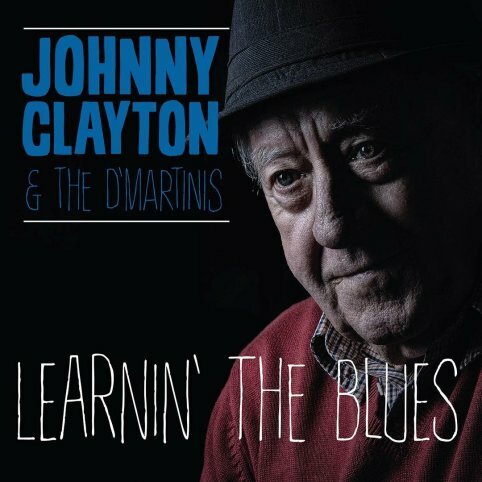 Download-album by Johnny Clayton & The D'Martinis 'Learnin' The Blues' (DS Records). 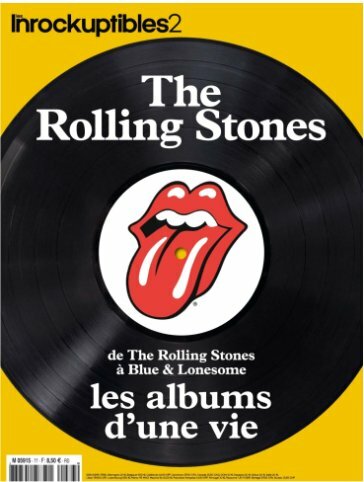 Another French Stones-only magazine with 100 pages, released to tie in with the three Paris-concerts.. Available here. Magazine by Jazz Magazine 'The Rolling Stones' (Hors-Serie No. 10). A new paperback dealing with the early days of the Roling Stones and boasting not to reveal the same old stuff, but to detail the secret history of the original Rolling Stones. I did not read it, so you have to judge yourself. 296 pages. Available here. 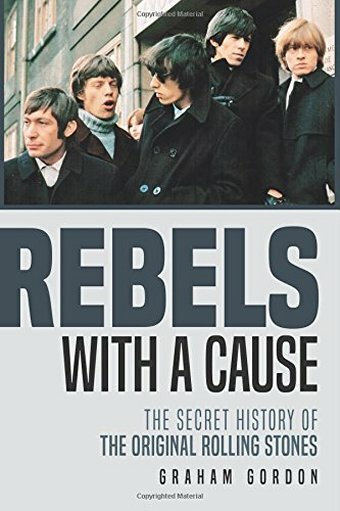 Book by Graham Gordon 'Rebels With A Cause' (CreateSpace Independent Publishing Platform). This special version of Barry Miles' book In The Sixties includes an accompanying data-CD with (among others) a 75-min. interview with Mick Jagger, done in London on April 30, 1968. Available here. 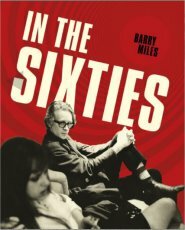 Book with CD by Barry Miles 'In The Sixties' (Rocket 88 Books, London). The must have release of this Fall is the DVD, bluray or LP-set of the Stones playing live at Fonda Theater, Los Angeles on May 20th, 2015. They did the complete Sticky Fingers-album there as well as a couple more interesting songs. The LP is 7 minutes longer than the DVD edition, as it has more stage banter and audience noise between the songs. Available here. 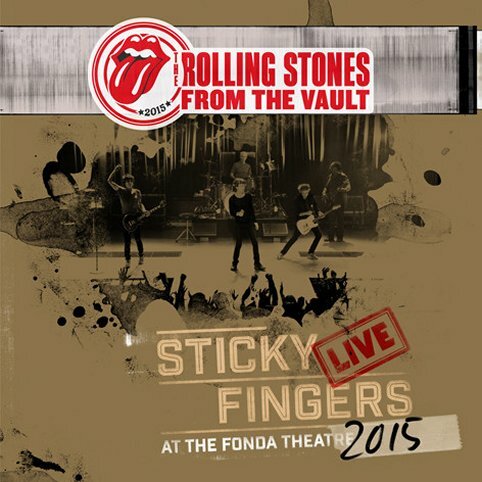 Bluray/DVD/3LP-set by The Rolling Stones 'Sticky Fingers Live' (Eagle Rock Entertainment/Universal Music Group). A French Stones-only magazine with 100 pages, available as download (PDF) or regular print. Available here. Magazine by Les Inrockuptibles 2 'The Rolling Stones' (Les Inrockupitles, Paris). 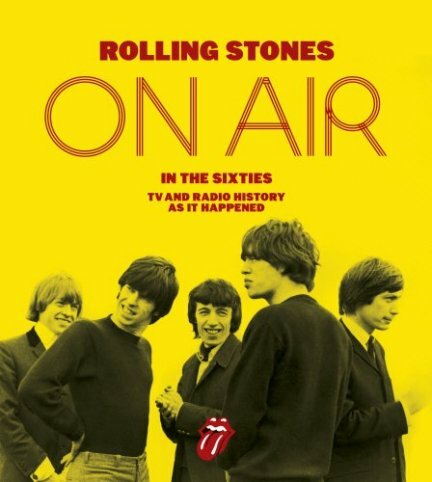 Richard Havers, the co-author of BW's Rolling With The Stones, compiled a book about the Stones' TV and radio appearances in the 60's. It comes in a nice hardcover, with 320 pages and lots of interesting photos and images of contemporary documents, which is the good news. Unfortunately it concentrates only on the 60's, isn't complete (the listings say: *selected* TV & radio appearances) and also has a couple of mistakes, which would have been avoidable. Available here. 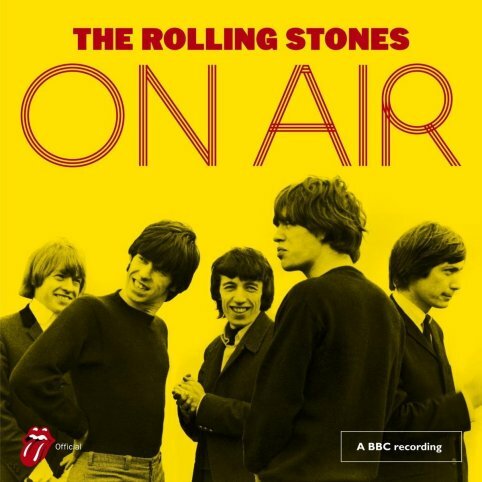 Book by Richard Havers 'Rolling Stones On Air' (Virgin Books/Penguin Random House UK. ISBN 978-0-7535-5755-6). To cash in with the three German tour-dates German news magazine issued a Stones-only mag with their articles from the last 50 odd years. They duly left out their 1995 accusation of playing playback (sic!) on the Voodoo Lounge-tour though. 124 pages, € 7,90. Available here. 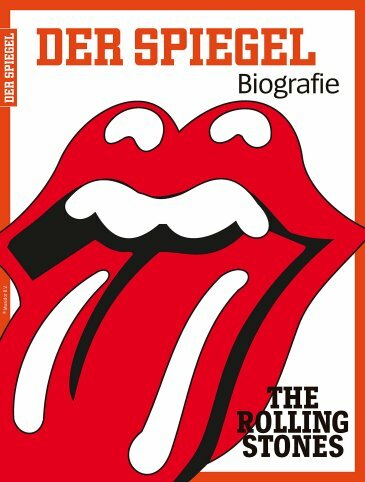 Magazine by Der Spiegel 'Der Spiegel Biografie - The Rolling Stones' (Ausgabe 4/2017). After many years in the works, finally out but only released in Japan by now, is this interesting documentary about Bobby Keys. Titled like his recommended autiobiography it includes (among many others) interviews with Keith Richards, Mick Taylor, Charlie Watts and Ronnie Wood. Available here. 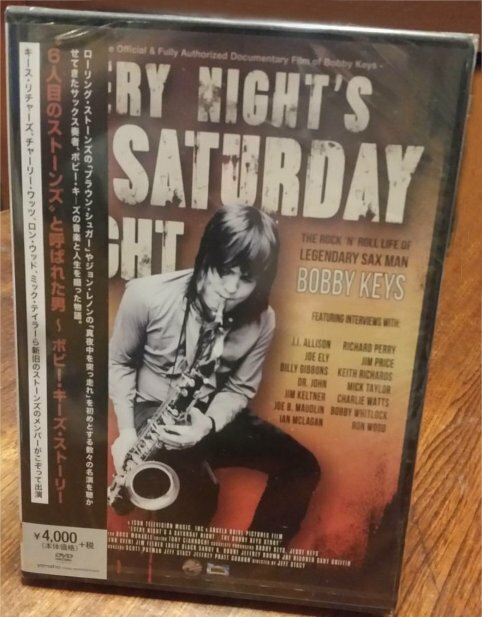 DVD by Bobby Keys 'Every Night's A Saturday Night' (Yamaha Music Media, -Japan). 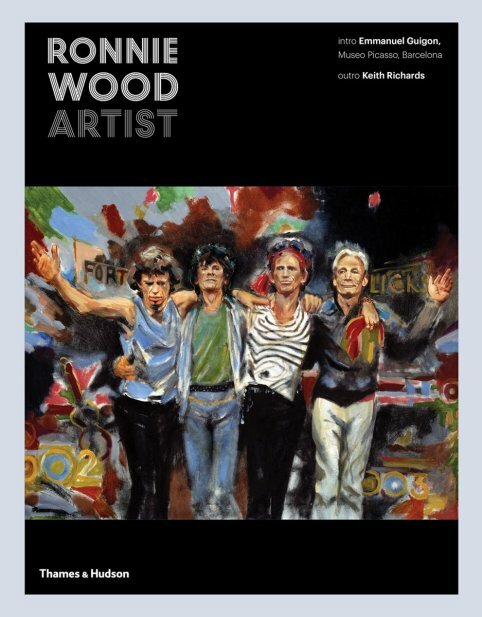 After 1987's The Works, this is the first book which deals with Ronnie Wood as an artist. It displays hundreds of his paintings and sketches, many with comments by the man himself. Keith Richards provided a handwritten outro. Hardcover, 274 pages, 24,95 GBP. Available here. Book by Ronnie Wood 'Artist' (Thames & Hudson Ltd., London. ISBN 978-0-500-51898-9). Surprisingly Mick Jagger rush-released a single with two songs with lyrics which mirror contemporary politics. Ronnie Wood and Charlie Watts are on the songs as well. Also available on 12"-vinyl (Polydor 5781001). Available here. 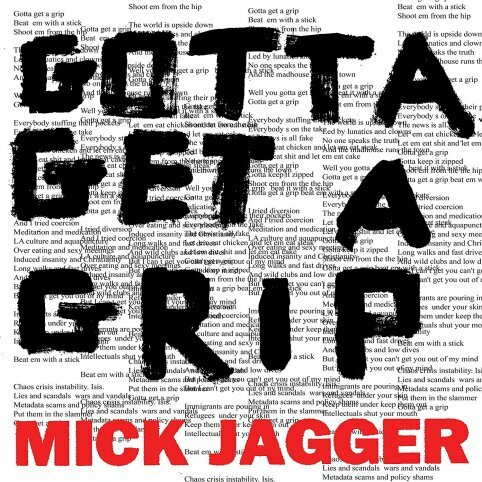 CD-single by Mick Jagger 'Gotta Get A Grip/England Lost' (Polydor Records 5781000). The download-only EP "Reimagined" includes an alternate version of England Lost (with an additional rap part by Skepta) and four remixes of Gotta Get A Grip, which aren't too bad (compared with many throwaway-remixes we got in past). Available here. 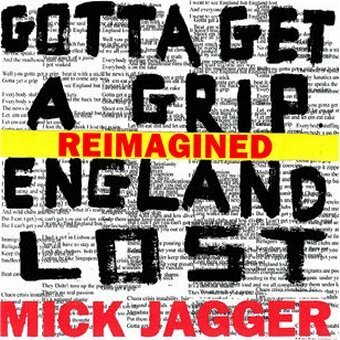 Download-EP by Mick Jagger 'Reimagined' (Polydor Records). A live recording from John Mayall's Bluesbreakers found its way to official purchasing platforms, although to me it looks (and especially sounds) more like a bootleg. The sound quality from this audience recording from Ostia, Italy December 6, 1982 is dreadful. For completists only. Available here. 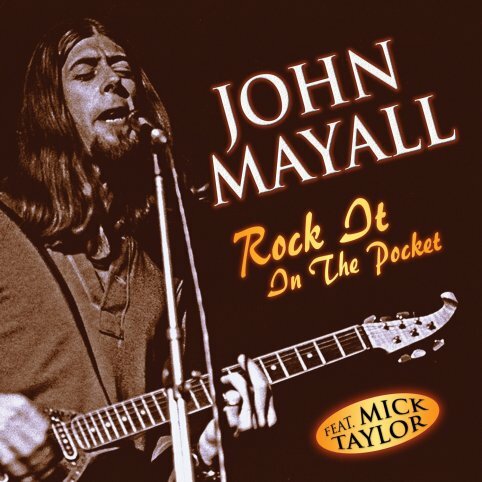 CD by John Mayall 'Rock It In The Pocket' (Laser Media LM 502). Previously only released on DVD/bluray, now out for the first time as download-only audio releases are the soundtracks to the three Totally Stripped club-concerts of 1995 (Paris, Brixton, Amsterdam). Only interesting though is the soundtrack to Paris, as this is six minutes longer than the audio on the DVD/bluray. But you won't get more music here, only more of MJ's stage banter (and audience noises). Available here. 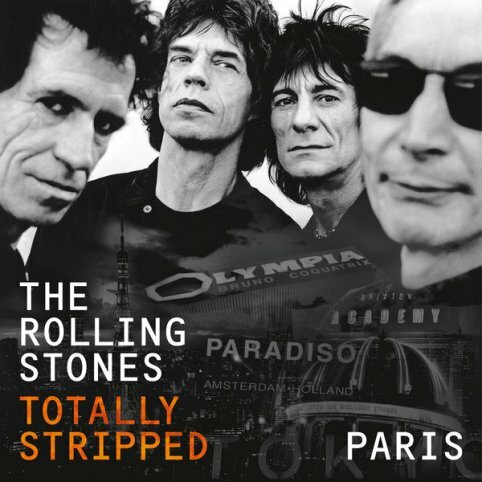 Download by The Rolling Stones 'Totally Stripped - Paris' (Eagle Rock Records). 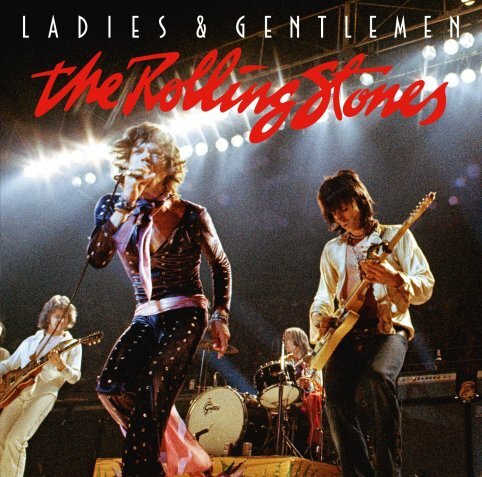 Previously only released on DVD and bluray, now out for the first time on CD is the soundtrack to the Rolling Stones great 1972 concert movie Ladies & Gentlemen. The Roling Stones in their prime. Available here. CD by The Rolling Stones 'Ladies & Gentlemen' (Universal/Eagle Rock Records EAGCD662). Mel Reding did a 30.-min. interview with Mick Jagger at London's Ritz Hotel in October 1983 as promotion for the then upcoming album Undercover. A couple of years ago Mel Reding was so kind to upload the interview on his website (available for free here). Now it was also released on CD, probably unauthorised. For completists only. Available here. 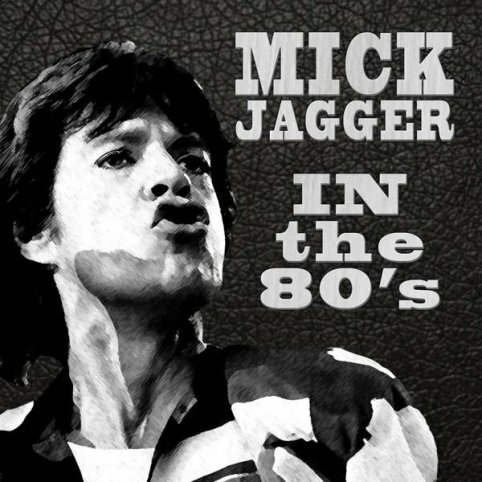 CD 'Mick Jagger In The 80's' (MVD 9805 A). 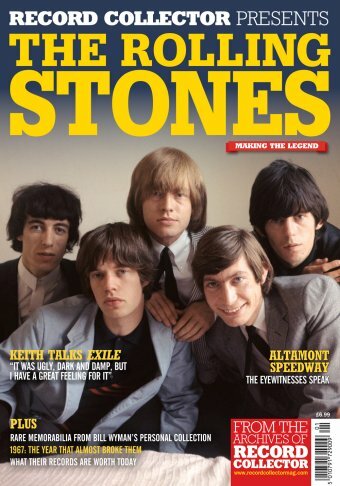 The great magazine Record Collector compiled a special Rolling Stones-issue from their archives with lots of great Stones-articles of the last 30 odd years. 116 pages. Available here. Magazine 'Record Collector Presents The Rolling Stones: Making The Legend' (Diamond Publishing, U.K.). The great docu about the South American tour of 2016 (incl. their already legendary free Havana-concert) was finally released on DVD and bluray. This Japanese version (released two weeks prior to all other countries' releases) has 10 bonus live-tracks from the tour (whereas all other releases will have only 7 bonus tracks)! Available here. 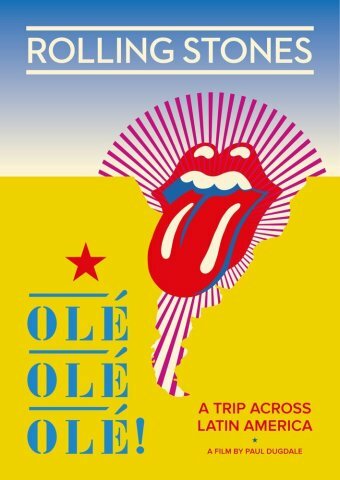 DVD or bluray by The Rolling Stones 'Olé Olé Olé - A Trip Across Latin America' (Ward Records/Eagle Rock Entertainment Ltd., -Japan). 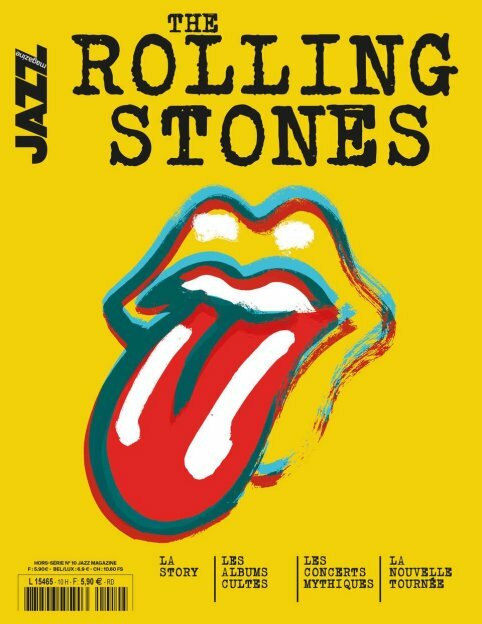 Now finally available as a more reasonable paperback (and kindle version) is the great book by Ronnie Schneider, who was the Stones tour-manager from 1965 - 1970. For more infos, check the April 9-entry. 490 pages, paperback. More info here. Available here. Book by Ronnie Schneider 'Out Of Our Heads - The Rolling Stones, The Beatles And Me' (ISBN 978-0-9981663-3-9). To tie in with the opening of Exhibitionim in Chicago, Raisin' Music Records just released a compilation album of 12 Jagger/Richards-songs, all done in the blues vein. Buddy Guy's version of Heartbreaker has the notable guest appearance of Mick Jagger on harmonica and backing vocals. Available here. 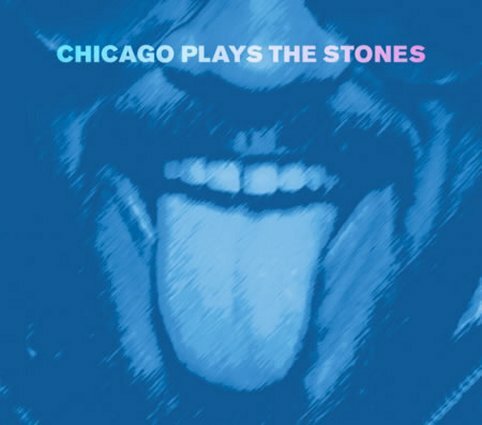 CD (+ download) by Various Artists 'Chicago Plays The Stones' (Raisin' Music Records). In September 2010 Charlie Watts, Gerard Presencer and Dave Green did a one-off concert with the Danish Radio Big Band in Copenhagen. Parts of the concert were now officially released on this CD. Available here. 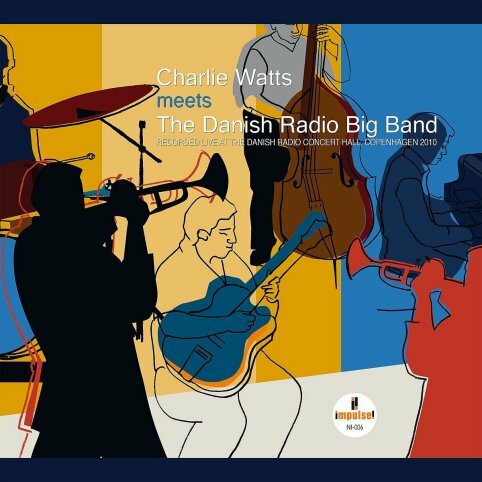 CD by Charlie Watts & The Danish Radio Big Band 'Charlie Watts Meets The Danish Radio Big Band' (Impulse! 0602557244779). While in Nashville in September 2015 MJ recorded a couple of ideas with Brad Paisley at Paisley's home studio. One of their collaborations ("Drive Of Shame"), a co-composition of MJ, Paisley and Matt Clifford (with MJ sharing vocals) was just released on Pailsey's new album. Available here. 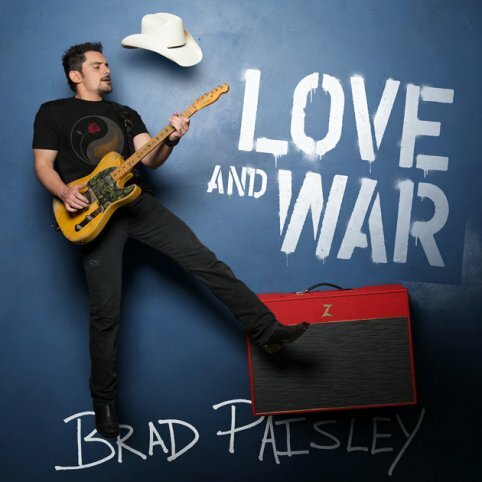 CD by Brad Paisley 'Love And War' (Arista Nashville 88985-33287-2, -US). Ronnie Schneider, nephew of Allen Klein, worked as tour manager on the Stones US tours of 1965, 1966, 1969 and on the European tour of 1970. (He also had his hand in the production of the Gimme Shelter-movie.) Being a confidante on these tours, we get a rare glimpse behind the scenes of the Stones in their most interesting era. The author als kept loads of letters, telegrams, agreements and other correspondence which build a 240-page appendix to the book. All of them unseen and many of them very interesting. Beatles and other topics are minimal, this book is 90% about the Stones and highly recommended. 490 pages, hardcover. More info here. Available here. 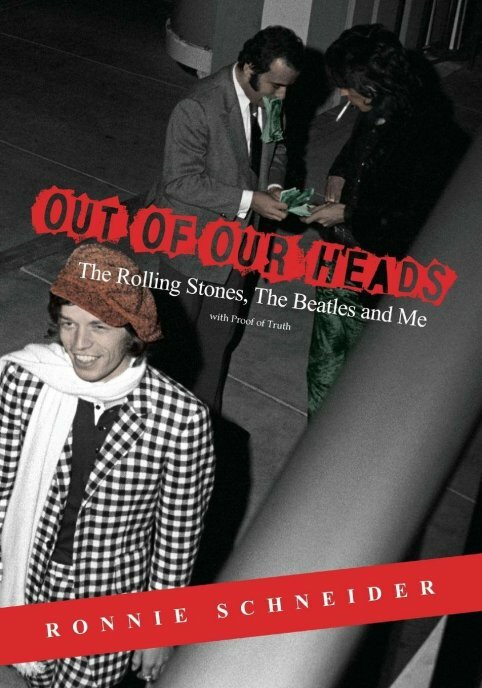 Book by Ronnie Schneider 'Out Of Our Heads - The Rolling Stones, The Beatles And Me' (ISBN 978-0-9981663-1-5). As a Japan-only release this From The Vaults "Extra"-issue includes the Tokyo-gig from February 24, 1990 (the February 26-gig with identical setlist was already released in 2015). Bonus footage on the DVD is just 5 minutes of the Stones (without BW) backstage and entering their cars leaving for the press conference on February 9. Available here. 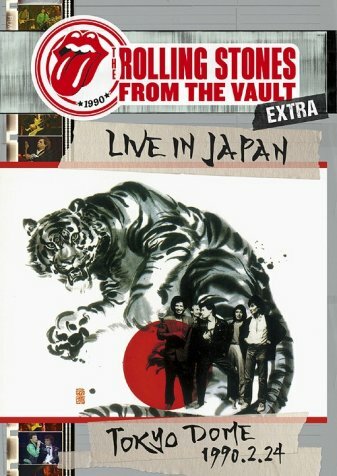 DVD & 2 CD's by The Rolling Stones 'From The Vaults Extra - Live In Japan Tokyo Dome 1990.2.24' (Ward Records GQBS-90274-6). The fourth and probably last Bill Wyman's Rhythm Kings archive-boxset on Edsel finally has some very rare and also unreleased music for us collectors. The live-recording on the audio-CD was only available on DVD before, the first of the three DVD's (Embassy Rooms 1999) was previously only released through a web shop for a short period of time and was rare as hen's teeth and the second DVD (Montreux 2001) was previously unreleased. The price for the 4-disc-box is a bargain by the way. Available here. 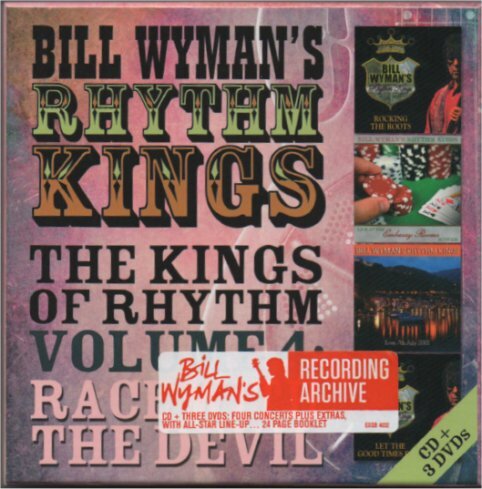 CD & 3 DVD's by Bill Wyman's Rhythm Kings 'The Kings Of Rhythm Vol. 4: Race With The Devil’ (Edsel EDSB 4032). A little bit late and without the promised foreword by Ronnie Wood, the long awaited New Barbarians-book by Rob Chapman is finally available. The accompanying CD is identical with the standalone 10-track CD 'Wanted Dead Or Alive' which was released in August 2016 (although now without any coverwork), but the hardcover book is very nice, with many photos and images of memorabilia on 202 pages. Available here. 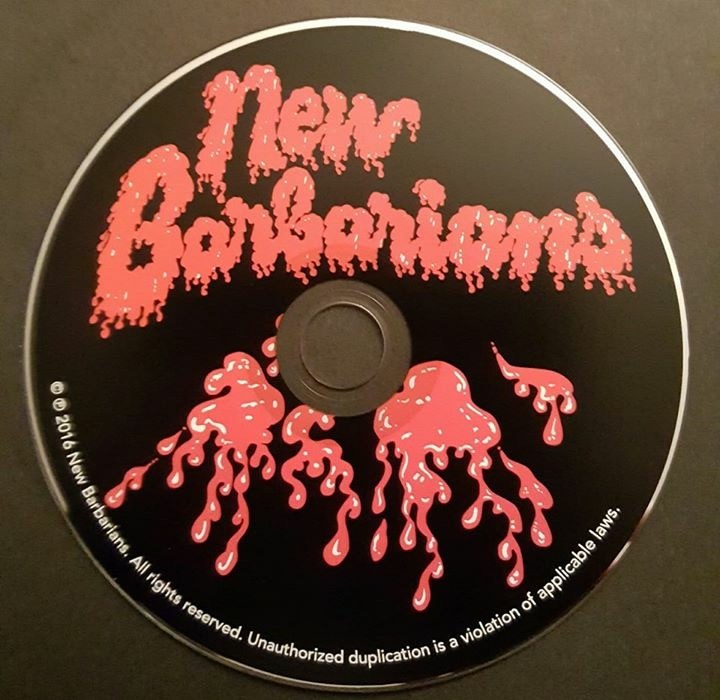 Book by Rob Chapman (+ CD) 'New Barbarians - Outlaws, Gunslingers And Guitars' (Voyageur Press, Quarto Publishing Group USA Inc.. ISBN 978-0-7603-5014-0). This new magazine from Japan has not only KR on cover and 18-pages of Stones-related articles inside, it also has an accompanying CD with a previously unreleased Keith Richards-interview from November or December 1985 (done by Mat Snow for NME Magazine). Available here. 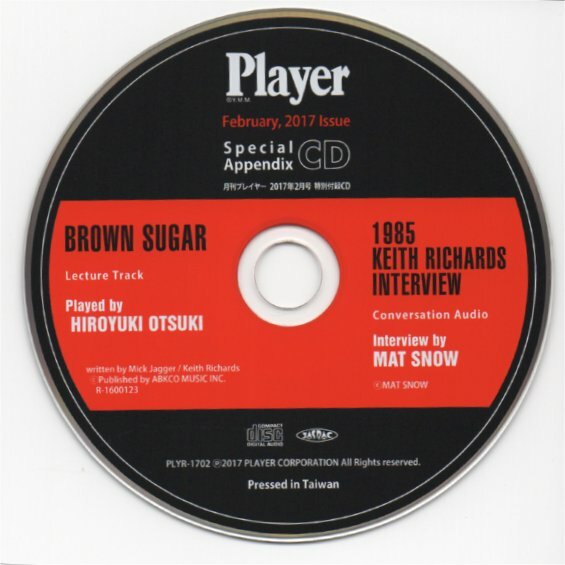 Magazine + CD 'Player' (issue #612, February 2017, -Japan).